We accept VISA and Mastercard credit cards. All orders are charged in Canadian currency. We ship online orders to Canada and the United States via Canada Post. For international orders, please contact us to place an order. Your shipping rate is estimated based on your order quantity and delivery information; and it will be available to you during checkout. Orders usually ship out within 1-2 business days. Shipping via Canada Post takes 2-5 business days for most orders (please see details in the chart below). Once the order is shipped out, you will receive a shipping confirmation with approximate shipping time and tracking information. Please allow up to 24 hours for the tracking information to become available. If you need a rush delivery, please contact us immediately for alternative solutions. Expedite shipping is available at extra cost. Orders of more than 20 T-shirts or 5 hoodies cannot be process as one order. Please separate them into two orders or contact us, we would be happy to help! Please contact us first for your return or exchange. All returns and exchanges must be made within 30 days of the date of purchase. Please ensure that the product is in the original condition. Place the product in a clearly labeled package that protects the product. Enclose your address and reason for the return/exchange (wrong size, wrong colour, damaged, etc.). * You are responsible for the return shipping, and all shipping charges are non-refundable. For exchanges, your new item will be mailed out within 2 business days if your requested item is in stock; otherwise, we will contact you for alternative solution. If you request a refund, the purchase price (excluding shipping charges) will be refunded to you using the original payment method within a reasonable timeframe once we received the item in original condition. If your order was defective, damaged or if we made an error, we will be pleased to refund the full price of the item plus an applicable shipping charges, or provide a replacement product. Please contact for further information. Orders usually ship out within 1-2 business days. Shipping via Canada Post takes 5-10 days for most orders. Once the order is shipped out, you will receive a shipping confirmation with approximate shipping time and tracking information. Please allow up to 24 hours for the tracking information to become available. Can I change/cancel an order that I just placed?  Please contact us at 1-604-599-1190 or email gear@russellbeer.com immediately if you wish to change or cancel your order. If your order has not yet shipped, we are happy to help! We ship online orders to Canada and the United States. If you wish to place an order that’s outside of North America, please contact us for your order. Yes, rush shipping service is available at extra cost. Please contact us immediately. I’m in love with something, but I don’t see it online anymore. Will it come in stock? Thank you for your love and support. We’d love to hear it. Please contact us and let us know! Talk to us! We are happy to give more information on our gears.